Last month we received a call from a DeForest home daycare provider who suffered an overnight kitchen fire. The disaster not only closed their business, but also made their home unlivable. Thankfully, no one was hurt. We began working immediately to return their home and business to normal. First, we assessed the damage. We found black walls and ceilings, ashes and dirt everywhere, destroyed appliances, and ruined cabinetry. The acrid smell of smoke permeated the house. A thorough clean-up job, new cabinets, new appliances, as wells as a lot of other work was needed to make this house a home again. Although a fire right before the holidays seems to be doubly tragic, it provided a window when the kids were home for the Holiday break. This allowed Anthony to begin the task of lead safe demolition as soon as A & J Restoration Services finished cleaning. With the lead safe work out of the way, Cheryl of CB Custom Painting quickly sealed the newly clean walls, effectively erasing any residual smoke odors. New cabinets and appliances went on order and the kids were able to come back to their home away from home. Although Anthony works diligently on all of his jobs, this one was special, as this smoke damaged home is the home of his children’s daycare provider. 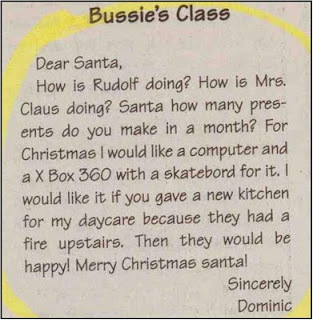 Dominic, Anthony’s son, had a special wish for Santa. 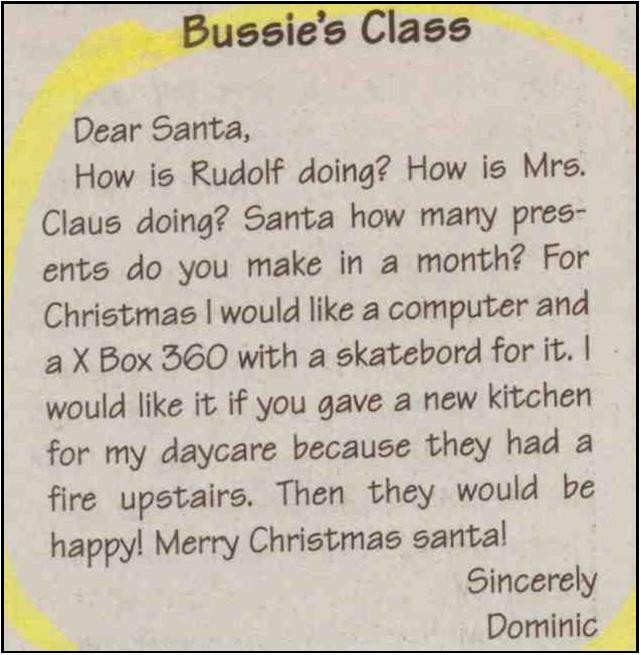 We find it heartwarming that Santa is using Dominic’s dad to make the wish come true. The Madison Fire department recently called into questions new building materials saying they can accelerate fire damage after a fire on the far East Side of Madison. See this recent article in the Wisconsin State Journal. The loss of property is always tragic. Thankfully, in this new home built to modern standards, there was no loss of life. Thanks to modern construction materials, building products perform better than ever. We no longer log old growth forests to get 2x12's like we did in the 1960's. We build stronger and greener using trees created for the purpose of engineered building materials. Clients actually get a stronger, better performing home thanks to modern materials. 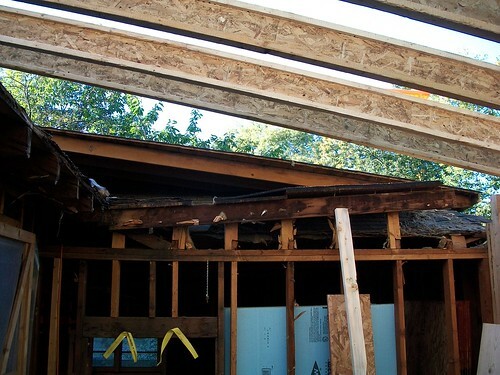 Besides, this is a green building practice to farm & harvest materials in our own part of the country as opposed to logging old-growth forests in the pacific northwest and Canada to get the big 2x12 joists, which can still burn! When it comes to life safety, homes built since the Uniform Dwelling Code was implemented in 1978 all have smoke detectors. They are now required to be interconnected so they all sound no matter where one goes off. The deaths from fires occur in old homes and old multi-family buildings. New homes are safer than ever thanks to fire blocking, smoke detectors, fire doors to the garage, etc. I wonder if ALL the smoke detectors in this house were working? And, what was stored in the basement that was the source of this fire? The building alone could not have caused the fuel for this fire. Something else had to fuel it to cause that much destruction. There is so much missing from this story that we don't yet know. I look forward to a full report after the cause of the fire is determined. Unfortunately, almost a month later I have seen no follow-up and limited discussion. The Department of Energy is considering a ban on multiple shower heads as reported by the NAHB. Good or bad? Most of you know us as proponents of wise energy use and Green Building techniques, but it concerns me from a standpoint of personal liberty as well. A nice shower with a body spray system can often take the place of a large, water-guzzling whirlpool tub. You can enjoy your body spray shower every time you use it, and you can use it for as short or as long as you wish. By eliminating a whirlpool, you can save on the square footage of your home. Not only do you not need a $1500 - $5000 whirlpool, you can save between 20 and 60 square feet of floor space by not needing to oversize your bathroom further. While some shower systems can use as much as 10 gallons or more per minute, this is rare. And,you have the opportunity to still get a refreshing shower with as little as 4 or 5 gallons per minute with greater bursts of water when needed. Or, switch on the single shower head for average use of 2 gallons, and then go to full blast when you rinse your body. In almost any case, a 10 minute shower is going to use less water than a 70 gallon fill-up of your whirlpool. And in any case, water conservation and energy conservation is up to you. Choose to live your life responsibly. Enjoy it, but why waste it? I hope that if we all make wise decisions, and bit by bit take personal responsibility, we can avoid misguided, overreaching mandates by the government that intrude into our daily lives. My colleague and advisor Robin Pharo has a new book with a different take on how to be green. To find out more, take a look at her promotional video. The video itself is fun. Now, it is time for me to read the book, soon! I am a little late in telling you this, for most of your 2009 taxes. But in case you forgot to claim your ARRA federal tax credit, here is a link that will tell you how. You can always file an amended tax return, or, you may be able to claim credit on your 2010 taxes. Remember the tax credit it typically for materials only, and you need purchase receipts or documentation from your contractor of the material price. 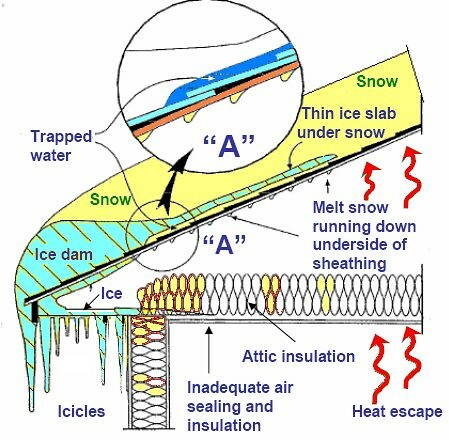 It generally applies to insulation and energy efficiency improvements in your home. Contact me with any questions, and, if you wish to make improvements to your home to claim your 2010 tax credit! 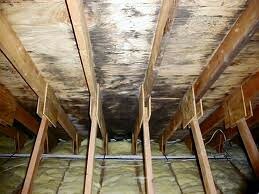 You need to PROVE that you are free of lead coatings in order to not use lead-safe work practices. Or, you need to prove that your home is built 1978 or later. To prove 1978 or later, a building permit or real estate record will serve as proof in most cases. They say it must be a legal/municipal record of some sort. If you are in the Dane County WI area, I can help you to get the testing done. Otherwise, look up your state's list of Lead Risk Assessors and one of these consultants can do the testing on your home. What does a general contractor need to know when working with sub‐contractors? o The general contractor that hires a subcontractor is also responsible for lead‐safe renovation violations committed by the sub. Degnan Design Builders, Inc., a local Remodeler and Builder, was honored to receive a 2010 Dane County Small Business Award at the 28th annual Awards Presentation Breakfast held June 18th at the Sheraton Hotel in Madison, Wisconsin. “I am who I am”, Abe Degnan, President of Degnan Design Builders, Inc., remarked to the audience when presented with the Award. “That was how my Dad, who began the business 29 years ago operated, and that is how I run the company. Just be yourself!” By being themselves, father and son developed a loyal following of satisfied clients over the years that continues on today. The Awards Event celebrates small businesses and the contributions they make to our communities and economy. The Award is given to the business including all of the employees— not just the owners. Award judges recognize that the owner(s) have the vision and take the risk, but it is the teamwork of all the employees that makes a successful company. 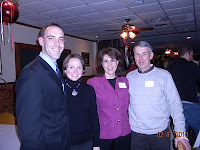 Degnan Design Builders was chosen for the 2010 Small Business Award because they have proven that they are successful. Their reputation and character say a lot about them as a company and as individual team members. They have the ability and foresight to carry them through the tough times. Company owners and staff also find significant ways to give back to their communities, even in our difficult economic climate. Some of the ways Degnan Design Builders’ owners and staff contribute to their communities are — volunteering at events held by local schools, their church and non-profit organizations; being involved in public service and community organizations; coaching their children’s sports teams; and participation in annual home building projects in partnership with local non-profit organizations. Degnan Design Builders wants to thank the Award judges for choosing our company as one of this year’s Award recipients, our clients and vendors/subcontractors for remaining true business partners over the years, and our employees who have maintained a passion for the remodeling/building profession and created trust with those who do business with us. What if I don’t know when my home was built? A. In this case, we must assume that lead-based coatings are present and proceed as though they are. The homeowner can assist us by providing a copy of public records documenting the age of the home such as an Abstract available from the Register of Deeds office. Do I need to have my house tested? A. If you are remodeling and your home was built before 1978, test to prove. In 1960’s and 70’s houses, it is beneficial to test because there’s a low chance of having lead present. The hazard of lead is creating dust through disturbing surfaces by means of cutting through, sanding, or scraping, and similar actions. It is helpful to know the specifics about any past remodeling done on the home. We need to prove that coatings such as paint and varnish do not contain lead. We look to the homeowner for the home’s history. How do I know where the lead problems are in my home? A. Statistics show that from 25% to 86% of pre-1978 homes, depending on when they were built, contain lead-based coatings. In Wisconsin we currently need to use EPA recognized test kits, an XRF (x-ray fluorescence instruments), or paint chip sampling and laboratory testing to determine and prove exactly which surfaces do or do not have lead coatings. Otherwise, on pre-1978 houses, we must assume that lead coatings are present and work as if they are. Extreme Makeover Home Edition continues to amaze me. Once again, Extreme Makeover Home Edition doesn't disappoint and never ceases to amaze me. The current build starts with the family being invited to attend a New York Mets game. Ty comes out to the mound to throw out the first pitch, bullhorn in hand, and yells, "Good morning Lutz family!" They continue to find amazing families with heart-wrenching stories: Kathleen Lutz has an inoperable brain tumor and is the adoptive mother of 6 children with Down Syndrome. I can only wait to see this episode air. What about my pets, children? A. Pets must be confined to non-containment areas of the house during the renovation period. If pets gained access to the containment area, they could get lead dust on their feet and coats and track it to other areas of the home and yard exposing you and your children to lead dust. Children must be kept out of the containment area at all times for the same reason. What about heavy furniture or other things that cannot be removed from the work area? A. Immovable objects are covered in protective sheeting. This includes such items as furniture, floor/carpet, lamps, televisions, etc. Please contact us if yo have a specific question that is not addressed in this series. Can I have access to the renovation area during the project? A. Unfortunately, that is not an option. The renovation area must be completely contained (closed off) during the renovation work period. The Rules prohibit any person (other than certified lead-safe renovation workers) or animal from entering the work area while it is blocked off. Only after final clean up can anyone enter the area. If you were to use the area during the work period, it would have to be cleaned to Rule specifications prior to each and every time you wanted to enter the area. This would add significantly to the cost of the project. 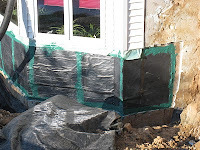 Will I be able to live in my home while the lead-based renovation work is being done? Move children and pets to a different location until the work is completed. 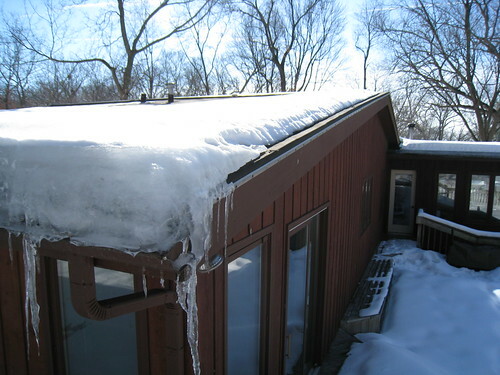 Turn off forced air heating and air conditioning systems while work is being done. In the case of large projects, you will find it more convenient and less expensive to move out of the house due to the new lead-safe work practices. With large or whole house renovations, we can set you up with a camper trailer during the lead-safe renovation work. Once the work is completed and clean-up meets the new Rule standards, you can move back into your home. Other options past clients have used are taking a vacation, moving daily living activities to another portion of the house, or possibly living with relatives/friends. Who is considered to be a contractor under the new rule? As your general contractor, we take care of making sure subcontractors are licensed or trained in lead-safe renovation practices before beginning any work on your project. 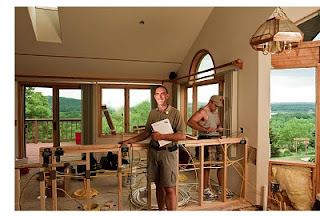 Can I use the services of anyone to remodel my home? a. The new rules require that renovation contractors who disturb lead-based paint must be lead-safe certified by the State of Wisconsin and follow specific work practices to prevent lead contamination. Contractors must provide a pamphlet called Renovate Right to the occupants of the housing. Also, they must inform the occupants about how the work areas will be set up, what work practices will be used to minimize dust and debris, how work areas will be cleaned, and what is to be expected after the work is completed. It is the responsibility of the homeowner to make sure they hire a certified lead-safe renovation company. Be sure to request to see a copy of the company’s Lead-Safe Certification certificate and the Lead-Safe Renovator certificate of the Lead Carpenter who will be working on your project. Please contact us if you have a specific questions that is not addressed in this series. Can I exempt my home from the new rules? a. No. Wisconsin no longer allows the opt-out rule for pre-1978 homes or facilities where children or pregnant women are present. The only way to opt out is to have your home tested for the presence of lead paint and other types of finishes. If your home tests negative or under the threshold requirement set by the State for lead contamination, lead-safe practices are not required. a. Any home, child care facility, or school containing children under age 6 built prior to 1978. Why was the Lead-Safe Rule enacted into law? A. The Rule was enacted to protect young children during renovation activity in homes, child care facilities and schools built before 1978. Lead-tainted dust is a serious health hazard for workers, occupants and their families, especially young children. Why should I be concerned about lead poisoning? A. Wisconsin consistently ranks in the top ten states in the nation for the number of children identified with lead poisoning, and since 1996 more than 44,000 Wisconsin children younger than 6 years of age were identified with lead poisoning. Lead poisoning interferes with the normal development of a young child’s brain, resulting in lowered IQ, attention disorders, developmental delays and aggressive behavior problems. Children who are lead poisoned are more likely to suffer as adults from kidney disease, diabetes, cognitive deficits such as memory loss and Alzheimer’s, and early death from high blood pressure, stroke and heart attack. Please contact us if you have a specific question that is not addressed in ths series. With the advent of the new Lead-Safe Renovation Rule that went into effect on April 22, you may be wondering what this Rule will mean to you, as the homeowner. Watch our blog for the next 19 days (M-F). We will present a series of Questions and answers to address some of your concerns. 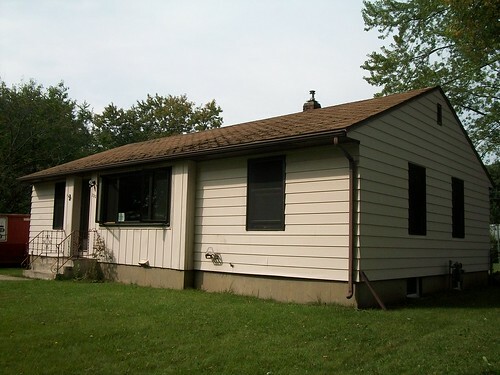 A. Safely remodeling a pre-1978 home containing lead by using lead-safe renovation practices as contained in Wisconsin’s Administrative Rule, DHS-163, that went into effect on April 22, 2010. “should be aware that we can strongly influence others to be the best they can be in our industry. " "Each of us has the ability to make a huge difference in the lives of other members." Events such as Green Built Home Makeover and Hammer With A Heart, “are particularly close to my heart.” “These two events give members an opportunity to give back to the community,” Abe said. 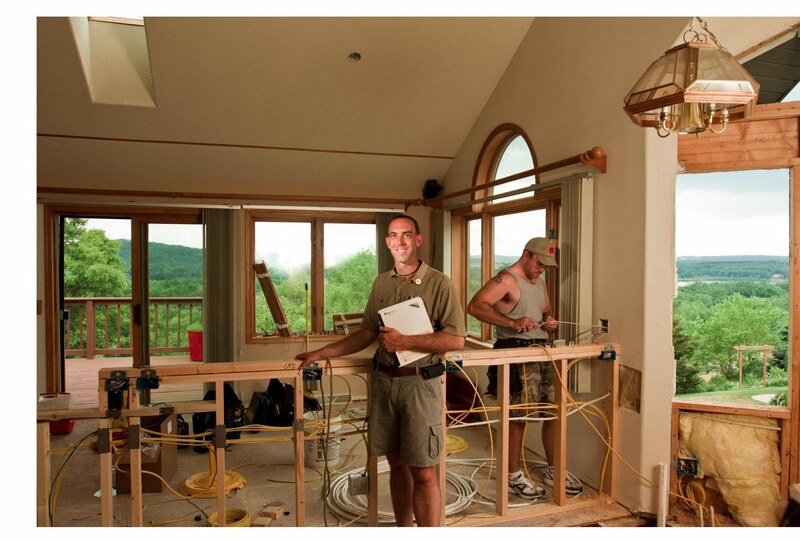 Other builders and remodelers who truly love what they do and have pride and passion for their craft. Trade contractors and suppliers who desire to be helpful and want to be the best at what they do. As 2010 President, Abe plans to focus on close communication with all the Association’s committees and work groups so the Board of Directors is in tune with members’ needs. In addition to maintaining current member services, he will be exploring new ideas for additional services that can be implemented, within the scope of the current budget, that will help to reinforce the value of MABA membership. Abe’s pledge to members is to keep the Association strong so as to help members keep their businesses strong. As the 2010 President, Abe will lead the Madison Area Business Association in its efforts to monitor and influence issues and regulations affecting the building industry, especially those related to housing availability and affordability. In addition, MABA provides a forum for education and information exchange for the benefit of the industry and the communities its members serve. MABA presents a variety of home-related public events and tours throughout the year. 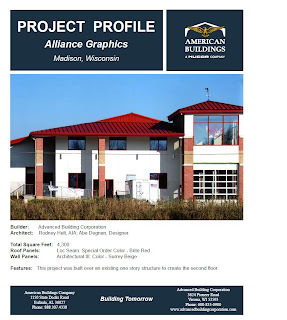 The Madison Area Builders Association is a trade association affiliated with the Wisconsin Builders Association and the National Assocaition of Home Builders. With more than 650 company members, MABA represents persons involved in the residential and light commercial construction industry--collectively the eighth largest source of private employment in the Dane County area. Every 100 homes MABA members build will create nearly $60 million in community income over a decade. 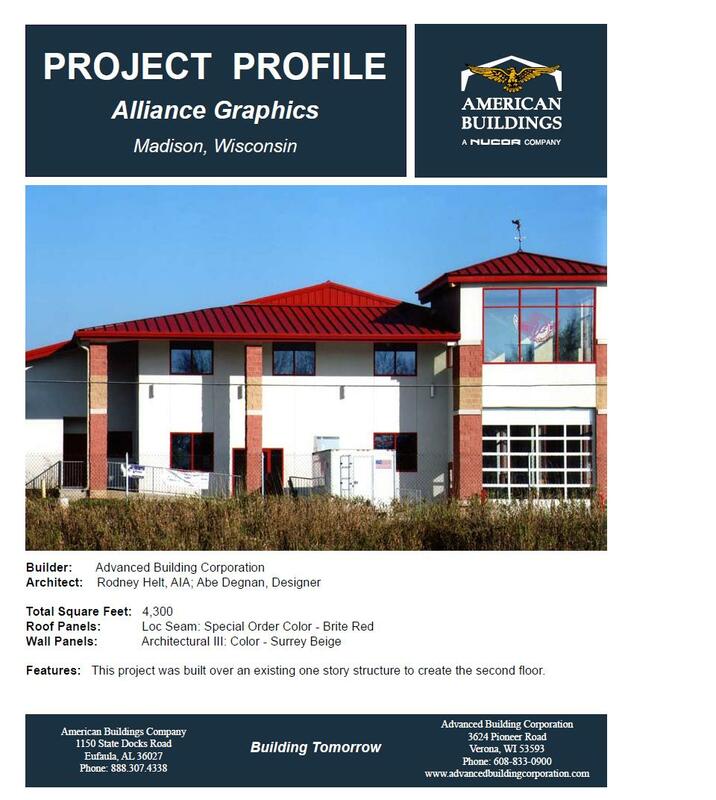 Click here for more information about the Madison Area Builders Association and its members. 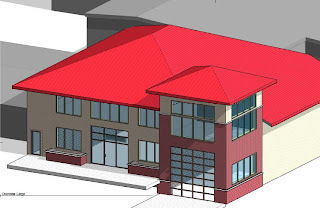 Visit Degnan Design Builders, Inc. on Facebook.